fter all, only so many JoBoxers releases a man can store, but I do my best. 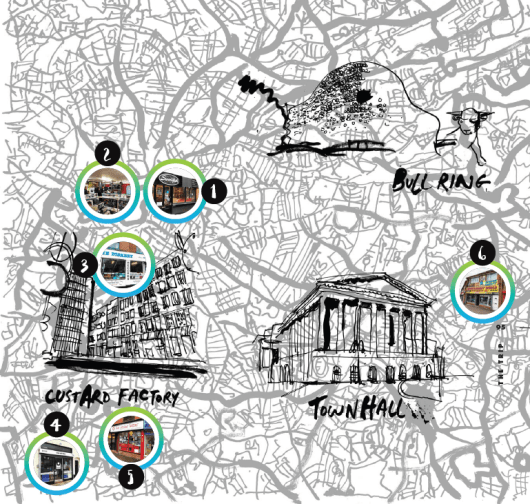 I hadn’t been to Nottingham in almost 20 years, and knew little about how the city had changed since I was last here. 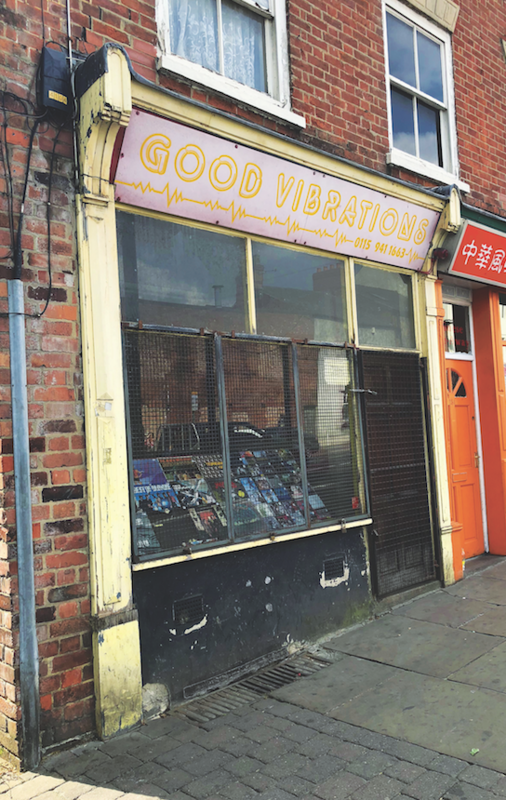 Sleaford Mods are the standard-bearers for the city’s vibrant music scene, but what of the record shops? Like most towns across the country, there has been a renaissance of sorts (with strong rumours of another store opening this side of Christmas), and although many talk of retailers that have shut up shop, this makes for a decent day’s cratedigging (and maybe longer, if you have time to try a couple of places outside the city). There’s a lively and thriving arts scene – check out Gate To Southwell Folk Festival and Rockingham in October – there are some great bands to catch, too. 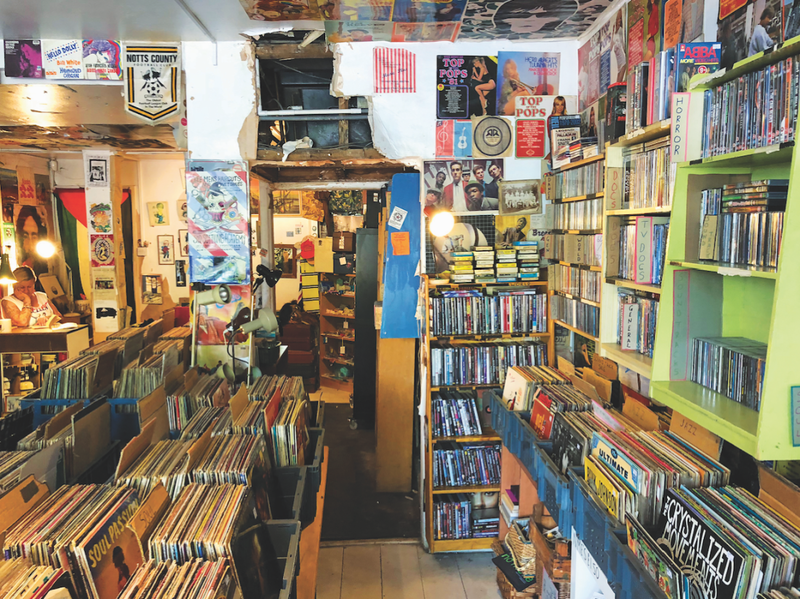 This is the sort of easy, friendly record store you need to kick off a day’s cratedigging. Nicely curated stock – not too much of it; just the best of a fair range and priced keenly, too. The store has been here two years and business is going well. “We did Record Store Day again this year – with queues kicking off at midnight – but it was nice and relaxed. Everyone said they liked how we organised it,” says owner Joey Bell. “I tend to stock stuff that I am passionate about and stay away from the stuff I am not into,” he adds. “I like to talk to people about the records and what they’re buying. 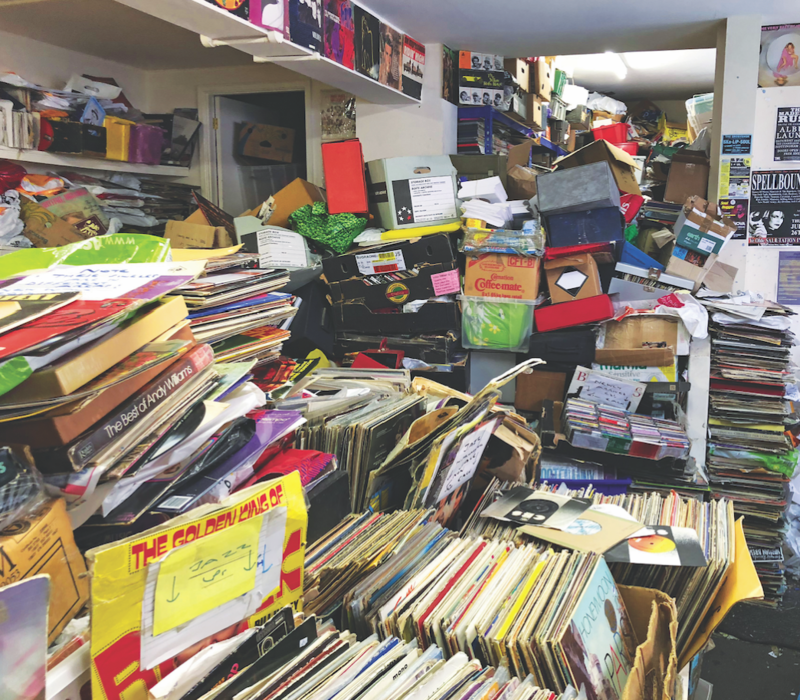 The secondhand stuff just flies out, but I don’t want to be one of those shops that has piles of allsorts selling for £1.” Joey’s band Slumb Party are currently on tour, so I’m lucky to catch him at the store, which he set up after much-loved local charity The Music Exchange closed its doors in 2016. 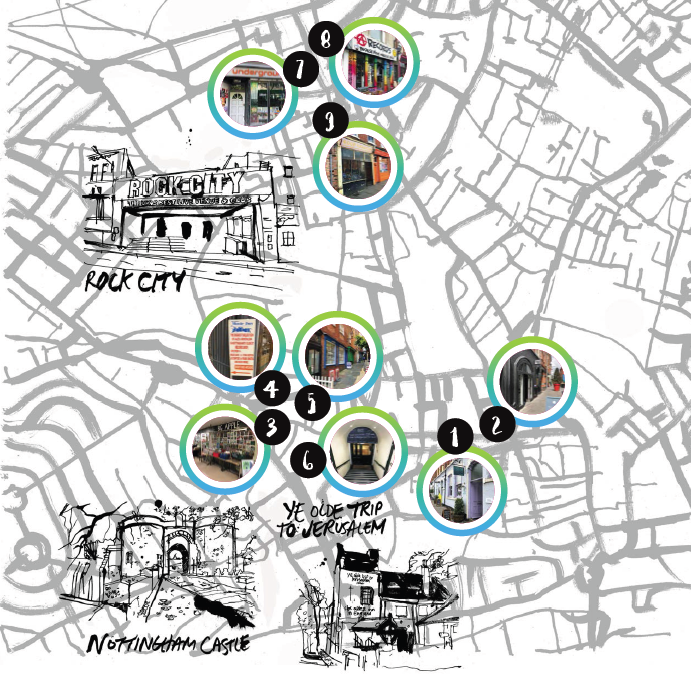 The Social Enterprise project helped the city’s homeless by offering them retail experience in a unique record shop. Joey used to work there, and there was no question whether he would continue this line of business when it ended. Slumb Party’s album is, naturally enough, on the shelves and I can recommend this 12-track collection of frenetic B-52’sesque power pop. I also pick up The Style Council’s ‘lost’ album Modernism: A New Decade, originally created in 1989. 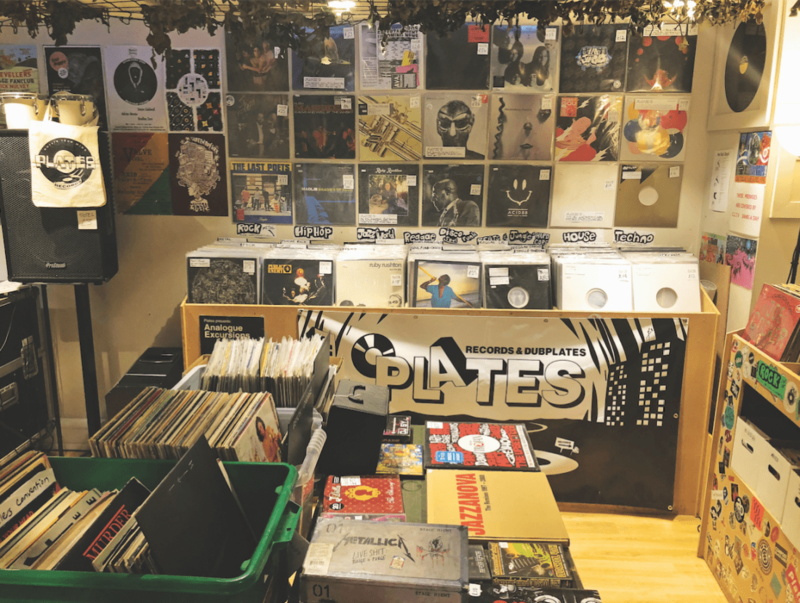 This is a brand that needs little introduction and it’s fair to say this store has dominated the city’s record-retailing scene for years – a position only now recalibrating, with a renewed buzz around vinyl and the places that sell it. 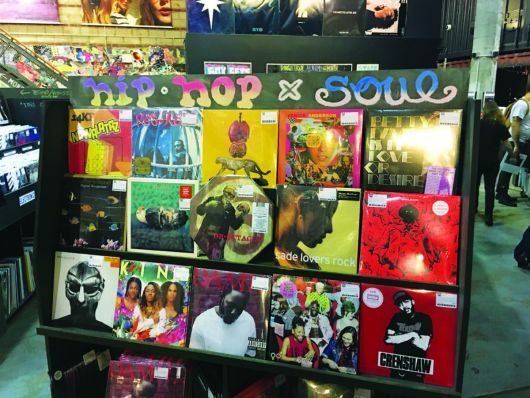 This branch is similar to those you’ll find in Brooklyn and London, with a small but interesting second-hand section, impressive gig line-up and loads of new records. My timing is spot on, with a meaty sale selection, including some recent releases and Record Store Day overstock. This is an ongoing dilemma for collectors – buy on release, or take a chance and wait until prices drop, if the issue is still available. The original £30 RRP for Elton John’s The Big Picture reissue is, perhaps, steep for a 1997 release you can pick up on CD for £1 in your local Oxfam. Of course, that set wasn’t available on vinyl back then, but the same can’t be said for 1975’s Rock Of The Westies, again a few quid at Oxfam – even on vinyl. Still, these 180g remasters are a good deal; at this price, at least. 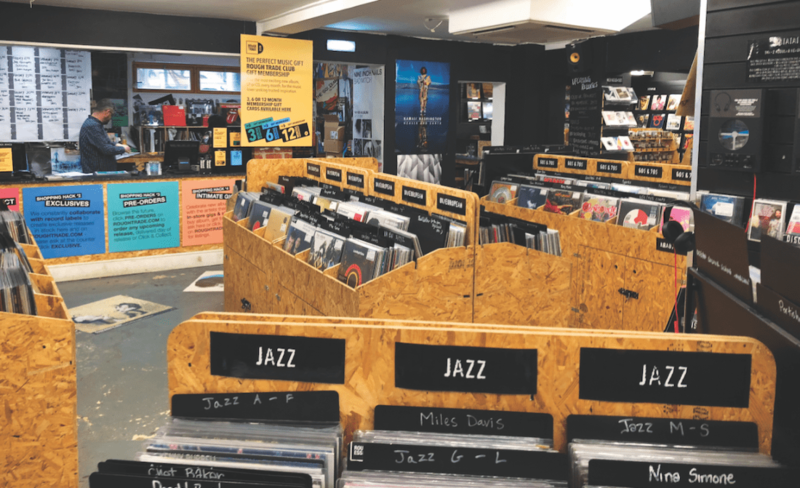 Former accountant Stuart Wall’s decision to take over Big Apple Records led to a big overhaul of the store, with a little bit of everything now organised nicely and priced keenly. He only takes cash, but this place is a treasure trove of the unusual. “I try not to specialise, as it’s always interesting to see what sells,” says Stuart. “The key is to keep moving the stock around and discount it if it doesn’t sell quickly.” He says metal is flying out of the store and there seems no slowdown in the interest around vintage punk. “You can even shift records by Phil Collins and Dire Straits, if they’re priced realistically. That is the key,” he tells me. Stuart likes prog and metal and admits the odd piece he buys only makes it as far as his own collection; but is always keen to pick out new items, including the recent Pink Floyd haul he snapped up at an auction. I’m not drawn there, but buy my first eight-track (Cher’s third solo set) and vintage vinyl from former Wonder Woman Lynda Carter (70s MOR), 12″s by Julian Lennon and Chris Rea, and a lovely copy of Bobby Vee’s A Recording Session. 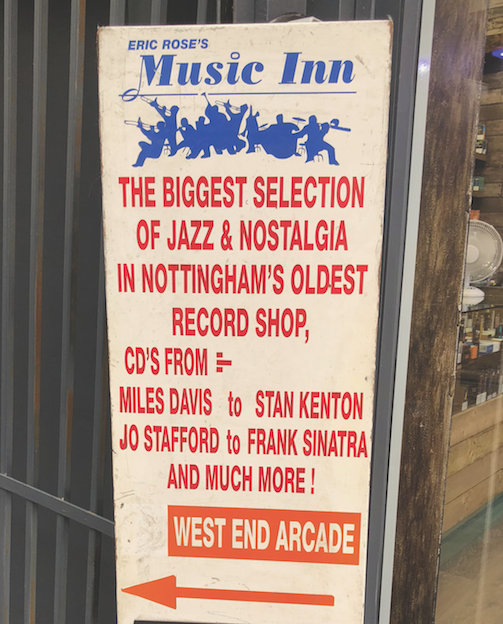 This nostalgia specialist carries only a few racks of vinyl and much of it is Doris Day and her generation of acts, plus a few soundtracks. As ever in this sort of store, the odd out-of-place item can be found. I spy the 7″ boxset of George Harrison’s When We Was Fab on the counter, but I already have that. What I don’t have is a £2 copy of compilation Carrere Euro-Hits. Carrere was a French label that operated from the 1960s until it was folded into Warners in the early 90s. This 1985 release has some great Italo-disco hits such as the original version of Self Control by Raf, which later became a huge success for Laura Branigan. Worth popping in for. If there’s a figurehead for Nottingham record shopping, then Rob Smith is surely it. 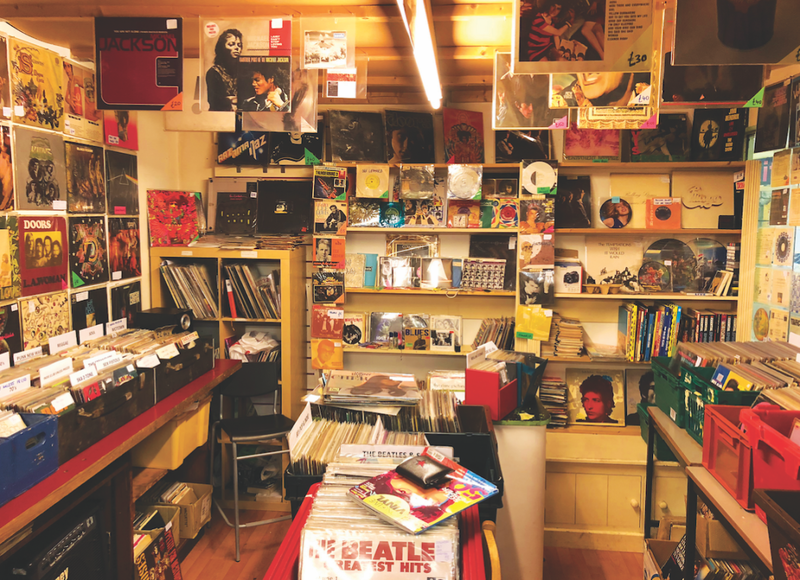 He‘s been selling vinyl since 1980 and his packed shop takes your breath away. Whether you have an appetite for a place like this will depend on your stamina, physical flexibility and general drive to unearth something interesting. It’s hard to move among the piles and piles of (it’s rumoured) 200,000 records, many seemingly unsorted since they first arrived, but there is order, of sorts. A request for Billy Ocean (not me) sends one punter off in the general direction of a corner where you’ll as likely find some Bucks Fizz or Black Sabbath as Anita Baker, but the thrill is, of course, in the digging. I come across a nice copy of Blue Mink’s Melting Pot LP, Lindsey Buckingham’s Go Insane (just £1) from 1984 and T’Pau’s Bridge Of Spies (not hard to find, granted, but one of those odd gaps in my extensive 80s collection, as you’ll have gathered over my past 18 months writing this feature). If Rob ever retires, someone’s got quite a job on their hands… but, even so, the place is busy with buyers. 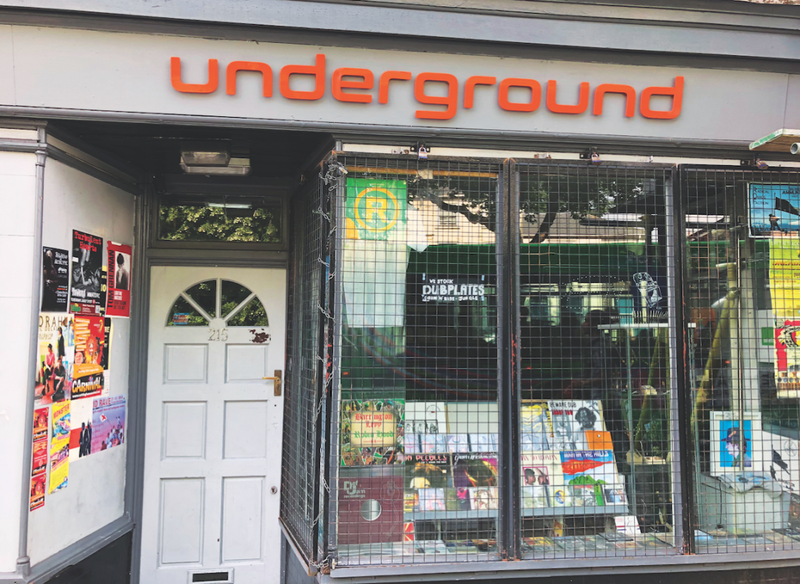 This dance-focused shop stocks a stack of roots, dub, rocksteady and ska, and is situated a little way out of the city centre in a cluster of interesting shops in the student area of Mansfield Road, near the bus station. I was unlucky to catch the shop closed on an unexpected day, but can confirm that the Facebook page is active and that I got a speedy response to my question about opening hours. Almost next door to Underground is a really great mix of vintage and lots of vinyl. It’s the third home for Anarchy in 15 years and is run by Jill and Rob Taylor. They seem an interesting pair, with Jill admitting that The Beatles bore her, but she likes Italo disco now that she has moved on from indie (a woman after my own heart). The pair don’t list anything on eBay and Jill says that it’s Rob who buys the collections that come in most weekends. The stock is exclusively used and there is a lot to go through (all categorised neatly), throwing up forgotten gems such as Chas & Dave’s ridiculously un-PC London Girls. 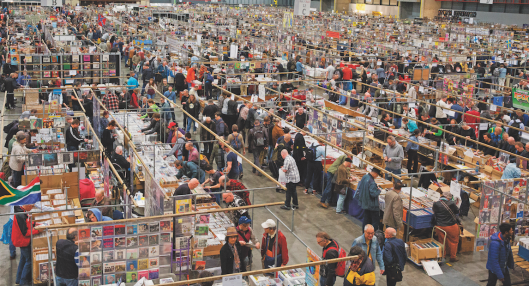 This isn’t one of those pile-them-high jumble sales – everything is individually priced and it’s clear that stock gets reduced over time to make sure it sells. I spend a good hour enjoying the rummage and finally realise it’s probably time to leave when, for 50p, I add a copy of Gazza’s 1990 novelty smash Fog On The Tyne (Revisited) with Lindisfarne to the pile. In truth, the Level 42 12″ picture discs aren’t likely to be upping my credibility stakes, either.